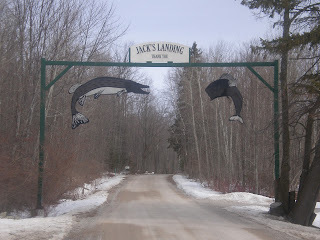 The 2011 Thumbilly ice fishing camp was held at Jack's Landing Resort on the northern shore of Fletcher Pond in Hillman, MI. Jacks has everything a group of anglers could ask for. 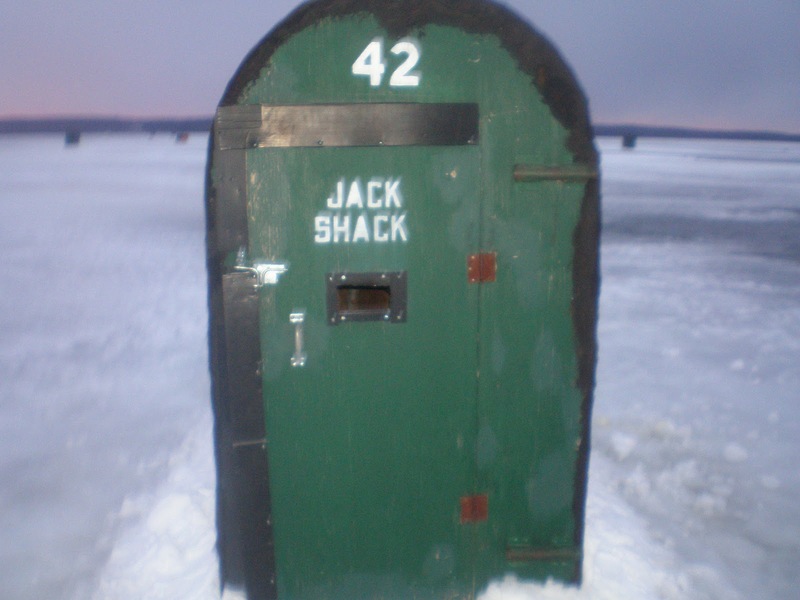 During the winter, the resort features a bait shop, shanty rentals, lodging and a bar that is open on the weekend. If winter fishing is not your thing, Jack's features a campground, boat rentals and a full service restaurant for the summer fisherman. We had a great time staying at Jacks. All the employees provided us with top notch service including the owner Dean. The first night, the wind was whipping at 30 miles an hour causing the furnace to quit working in one of our cabins. Dean could not control the weather but didn't use that as an excuse. He pulled out two heaters from his own house to help heat the cabin until the problem was fixed. We appreciated him trying to accommodate us to the best of his ability. He even bought us a round of drinks later that night. The accommodations were nice but we were there for the fish. Fletcher pond has some of the best winter pike fishing in the state of Michigan. The bait shop guys have a lot of experience on Fletcher's pond and will try to set you up on fish. Jacks has multiple shanties set up in front of the lodge for anglers to rent. If you haven't experienced sight fishing before, these shanties are the way to do it. They are heated and the bait-shop guys cut a big hole in the ice to see down. It is an awesome experience being able to see big pike cruising underneath your hole. I enjoyed my time at Jacks and will be back soon. If you are looking for a place to stay on Fletcher pond, Jacks should be your top choice.